Do You Have the Right DAM Vendor for Your Industry? 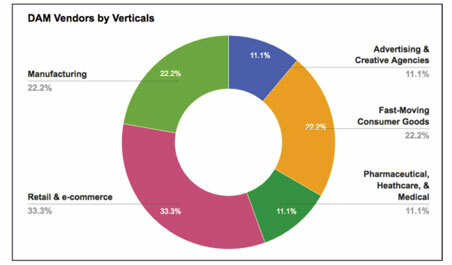 Here's a breakdown of the vendors that rate highly (three or better on a five-point scale) in a few key verticals. This evolution has caused vertical focus to become another important factor to consider when building your DAM vendor shortlist. 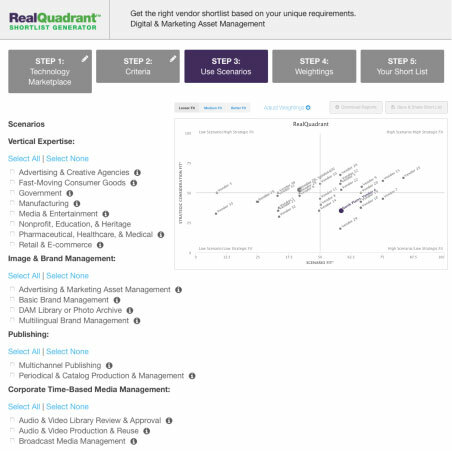 You can build your own RealQuadrant to see if your shortlisted vendors have the right vertical capabilities for your industry. You'll find a complimentary trial version, then don't hesitate to contact us about becoming a subscriber to see the full monty.